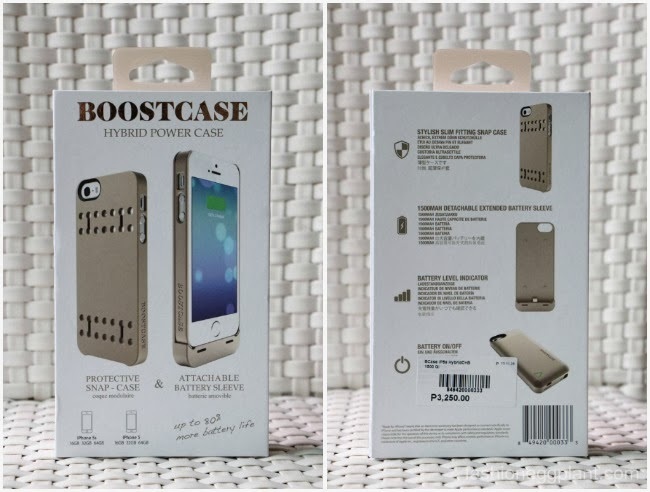 A matte gold Boostcase for the iPhone 5/5s! It functions exactly the same way as my green, glossy one (adds 80% battery life...see post HERE) but the rubberized matte texture makes a world of difference when it comes to handling. It's a lot easier to grip making it the perfect choice for clutzes like me. But aside from function, what I love most about this new Boostcase is its color. Boostcase retails for P3250. A good deal considering you're getting a high quality case and an Apple certified battery pack in one. Are you going? Can I go with you? yup, sure, the more the merrier! ive heard about those, how does it perform? It looks very elegant, on my screen it looks like a frosty beige.